An Anonymous Donor gave $250 because 10 donors made a gift in 199 days. Once upon a time, individuals with disabilities – physical, sensory, cognitive - were told that they would never again be able do this, that, or the other thing. They were told to stay at home, out of sight, and to accept their fate. Over time, these people and their allies began to ask "Why?" 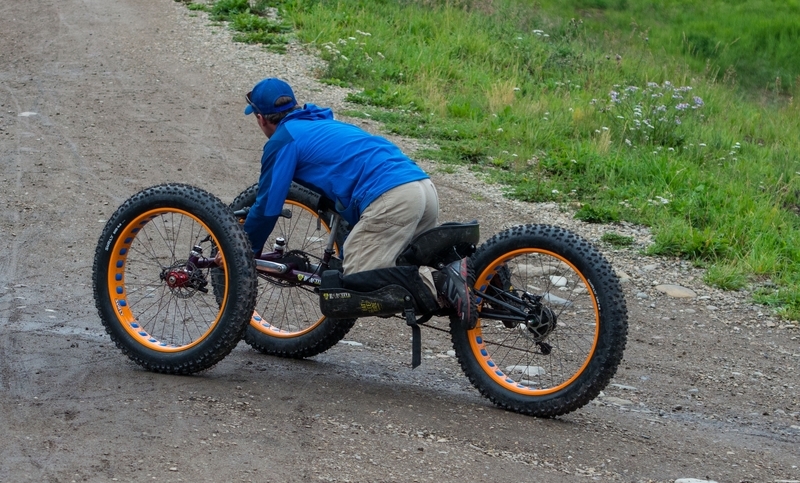 The mission of the Human Centered Design Studio (HCDS) at the Colorado School of Mines is to enable individuals, particularly those with disabilities, to try new activities and/or push their performance limits for the sports and recreation in which they are already involved. If people have the will and determination to try something new, or become better at what they are doing, then they shouldn't be held back by lack of suitable equipment or access to technology. Once upon a time, a 5 year old girl Lydia with severe cerebral palsy (CP) was unable to easily go on bike rides with her family in Boulder, Colorado due to her wheelchair and her seizures. HCDS is creating equipment to safely take Lydia on biking trails with her family. Once upon a time, individuals with visual impairments were unable to use climbing walls at the gym. Students in HCDS are creating climbing holds that can track a climber's position on a wall and audibly alert a climber of where the next hold is. Once upon a time, HCDS had difficulty testing and verifying prosthetic feet due to lack of equipment. 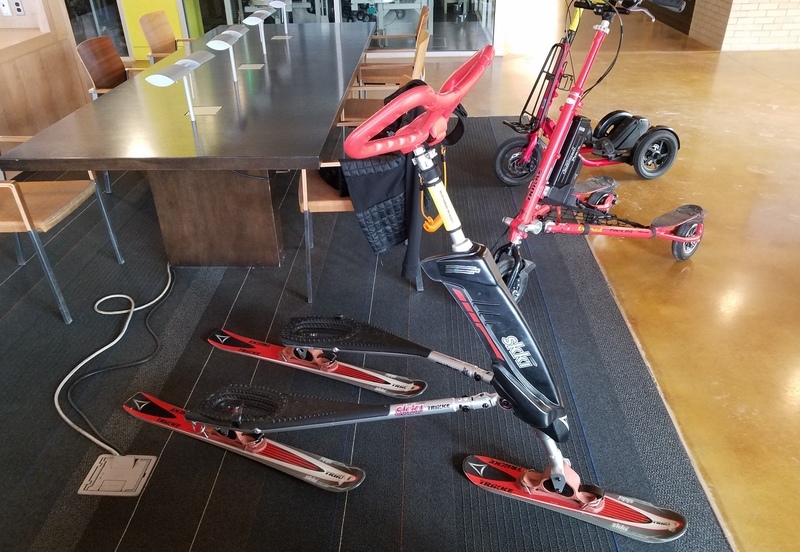 We are creating our own gait simulator to test the prostheses we create to help dancers, skiers, and others get back on their feet and into new adventures. Your gift will help us end these stories with "…happily ever after." We need your support to produce devices that go beyond prototypes and are ready for use by those who need them. This fall there are over 30 students working on a variety of adaptive sports equipment projects in HCDS. As with most new endeavors, we are operating on a shoestring budget. Funds raised will be used to purchase raw materials, components, and supplies, to develop testing and verification equipment for our designs, travel to meet with partners and show our devices at meetings, and if possible to produce multiple copies of devices for additional people. You can donate to one of the highlighted projects above, or to HCDS as a whole to support our mission. We appreciate your interest and hope that you will choose to support us in our work. Please don't hesitate to learn more or reach out to us via this campaign page or ability@mines.edu. And please, share this campaign and our social media links with your friends!